Google Allo isn't, and never was, a popular messaging service, and this has been the case since its launch. The aim of the app was to be a better alternative, and as well as having emojis and GIFs Google applied machine learning to the app. Despite this, Googles messaging app never managed to engage users in the way that it hoped. Why isn't Allo a success? I always thought the main competitor of Allo is Facebook Messenger, and not WhatsApp, because of the similarities between them and the systems they use. Although Telegram makes use of the same system, it doesn't make sense to compare it with Allo because it has Google Assistant, which is arguably the best voice assistant out there at the moment. The fact is though, Allo's days could be limited. The messaging app could be discontinued at any time, and will end up among other failed Google creations, such as Wave and Orkut. 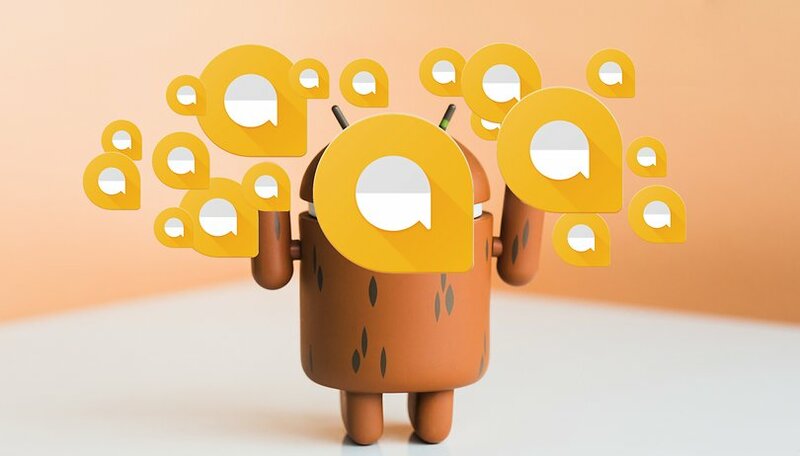 According to The Verge, who spoke to Anil Sabharwal, manager of Google's communications area, the investments related to Allo are frozen by the company at the moment, without any further forecast. The obvious reason is that people simply don't use it. This is the main factor that is causing the app to fail. The company was expecting more engagement from users, but that didn't happen despite advertising efforts. What's also interesting is that Allo's rapid response system was the basis for the creation of Reply, which will be integrated into Android P when it's launched. We can expect some more news about this at Google I/O. Have you ever used Allo? I installed it, tried it out and forgot about it. To be honest: I use hangouts more often! I have it installed but have never used it. I use the native messaging app on my pixel 2. I agree that if google could come up with a messaging app similar to iMessage I would probably use it. iMessage is probably the only thing I miss from iOS. The news just a few weeks ago is that Google is developing "Chat" based on a new standard "RCS", which is not so much a client as a new integrated replacement for SMS and MMS. It has lined up ISPs and OEMs to support it (apparently it would send / receive SMS / MMS when only that's on the other end.) Allo is not just another failed messenger, but redundant and possibly a drain on the pool of developers for the RCS "Chat" project. If Allo had had SMS integrated into it like FB Messenger and Apple's iMessage, it probably would have seen more use. It failed on day 1 because of that. Remyj, You are 1000% right. In fact, I specifically complained about this to Google. That is why I can't use it most of the time. That and the fact that you can't set it as a default messenger in Android which also limits its usability.